As a meeting planner, you’re likely charged with finding event locations that not only meet, but exceed expectations. The City of Renton offers a multitude of locations and venues perfect for any type of event, conference, meeting, seminar, or retreat. We also specialize in spaces for weddings, receptions, and parties of all kinds. If you are interested in hosting your next event in a City of Renton park, please call Andy O’Brien at 425-430-6704 or email Aobrien@Rentonwa.gov. We hope you find our process convenient and helpful. We pledge to work with you every step of the way to ensure that your event is a success. For small groups of 50 people or less, Renton has several spaces optimal for intimate gatherings. Locations include restaurants, neighborhood and community centers, Renton Technical College, Renton Chamber of Commerce, Renton History Museum, hotels, Renton Community Center Banquet Hall, the Carco Theatre, and more. 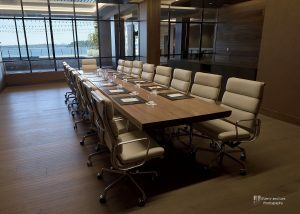 If your meeting or conference needs require space for more than 50 people, but less than 250, Renton has a wide variety of options. From educational institutions like Renton Technical College and Embry-Riddle Aeronautical University to hotels like Larkspur Landing and Red Lion Hotel and Conference Center, there is copious mid-size venue space available. There are also a handful of unique places to host your event. Downtown Harley-Davidson Hog Heaven Conference Room has space for up to 200 people, and the Rockin’ Horse Dinner Barn, ideal for weddings, receptions, parties, and dinners, can comfortably seat up to 150 people. Parties of 250+ have numerous sites from which to choose, including a handful that are exclusive to larger gatherings. St. Andrew’s Masonic Center, Fairwood Golf & Country Club, Harambee, Renton Civic Theatre, Maplewood Greens Banquet Hall, Renton Memorial Stadium, Renton Pavilion Events Center, and the Renton IKEA Performing Arts Center all host big groups and have commensurate amenities that cater to the masses. 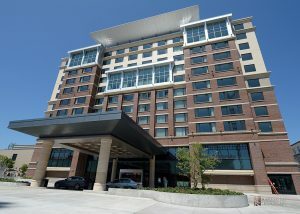 The Hyatt Regency boasts 43,000 square feet of flexible event space, including 23,000 square feet of outdoor space. Renton is a growing center for filmmaking in the region, hosting the Seattle Film Summit, the Renton Film Challenge (a 50-hour filmmaking competition), and BestFest, an annual presentation of Northwest film competition winners.